September is Membership Month at NLIHC! Help Strengthen NLIHC This Membership Month! 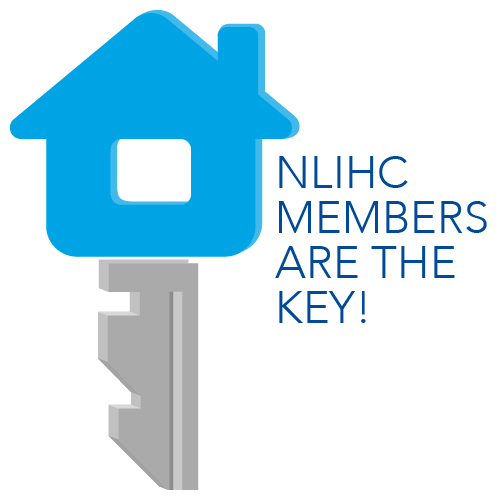 September is membership month at the National Low Income Housing Coalition (NLIHC)! We are working throughout this month, to expand our coalition. We are asking you to help us by either joining NLIHC or recruiting at least one new member. If everyone pitches in, we will double our membership and significantly increase our power to change housing policy for the better. Since 1974, NLIHC has pursued its mission to achieve socially just public policy that assures people with the lowest incomes in the United States have affordable and decent homes. I am writing you today with the hope that you’ll join us in our unwavering commitment to this mission. I am asking you to make a choice about the mounting inequality in our country. While some people insist our democracy is broken, we look to our fellow citizens to end the stalemate in Washington. It is only with our engagement as citizens that Congress will face the issue of deepening inequality and address the housing needs of the lowest income Americans. By joining NLIHC, you can play a critical part in this. We will provide you with the tools and access you need to be a powerful housing advocate. From our research reports and weekly policy updates in Memo to Members to our Calls to Action and legislative forum, we will help you prepare for and engage in effective federal housing policy advocacy. Our coalition includes advocates of every stripe – low income tenants, statewide advocacy organizations, affordable housing developers, tenant organizers, social service providers, government agencies, students, church groups and more. No matter what your background is, there is a place for you with us. Together, we can advance our mission to achieve socially just public policy that assures people with the lowest incomes in the United States have affordable and decent homes. It is in our power to create a more equitable future for our country.